Are you considering improvements to your garden? Before starting the design of your garden, consider what your aspirations for the area are; from entertaining and socialising to enjoying the view. 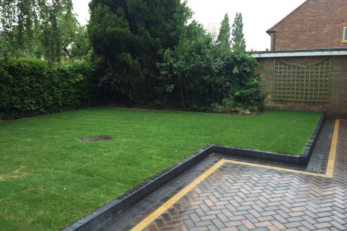 PaveCraft Ltd offers a free advice and design for your garden, patio and paving areas. We use high quality paving, laid to British Standards, from the leading manufactures such as Marshalls, Stonemarket, Brett, Hanson and Bradstone. These products are constructed to the highest industry standards and will look stunning for years. 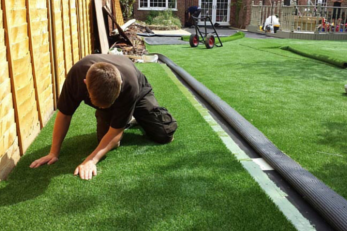 You have a choice of landscaping methods and products that can be employed to enhance an existing garden or accompany new patio, or replace edging fencing or brickwork. Often with many of our landscaping works our Fencing services is required to really finish the garden. Be it replacement fencing, new fence panels, fencing repairs or as part of a garden landscaping project, our fencers provide a quality and inexpensive service. 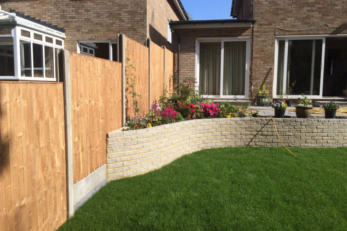 For many Watford customers fencing can easily seem like a massive and difficult project. Here at Pavecraft Ltd we’ve got local expertise. We have access to a wide range of fencing products that we can supply as part of the job or, if preferred, we can provide an install or repair fencing service. We make sure as your fencing company we fully understand your fencing project, the type of fencing you want, what will look best, easiest to maintain be it in Watford or further afield. Our fencers are professional, friendly & courteous too.